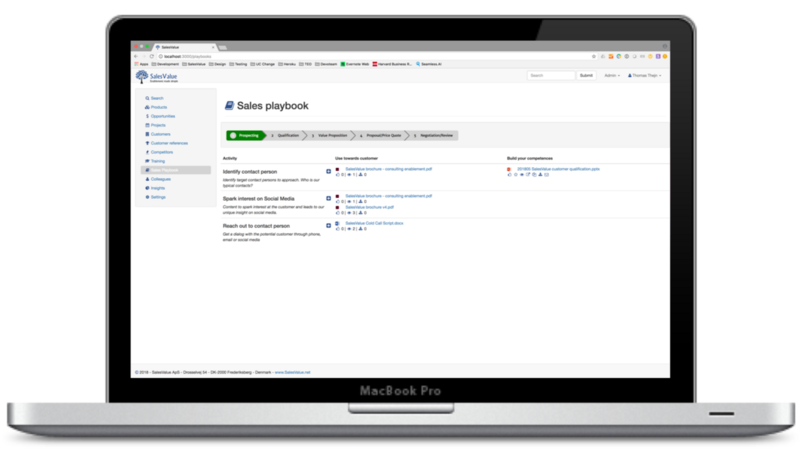 You can now create a Sales Playbook in SalesValue that links content and training to opportunity stages and activities. You can break down the old large book into relevant pieces, and recommend content and activities to sales people in context of their opportunities. 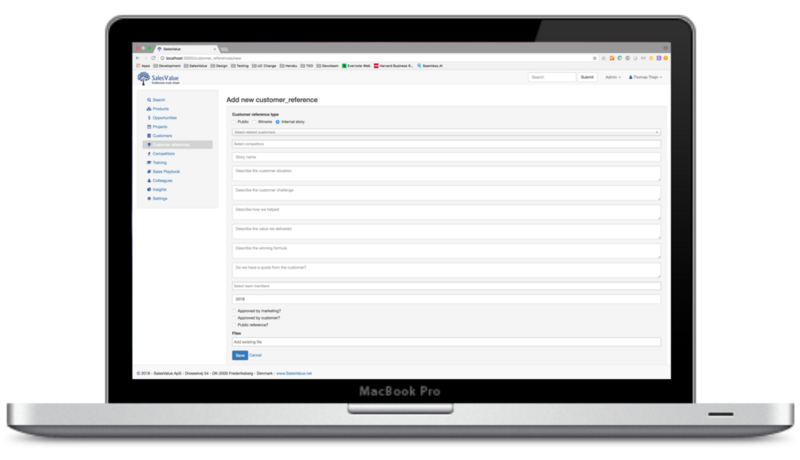 Combined with SalesValues automatic knowledge sharing you can use content generated by the sales team, and get your sales team to help create and update the Sales Playbook. We believe that some of the most important knowledge in your organization is how you have helped solve specific customer problems. As an example, the marketing director at one of our customers did not know how much great content his sales team was producing them self. When we implemented SalesValue, he could see that a lot of the content his marketing team produced for the sales team was never used, but a lot of the content that was produced by the sales team them self could be improved by marketing and shared back with sales. The marketing director changed their practice and increased productivity in both sales and marketing. It is these stories that help show new customers that you can help them solve their problems as well. Too often these stories stays in the heads of sales people or consultants. Now SalesValue helps you quickly collect and share this information, so it can help the next sale and improve your organizations knowledge. 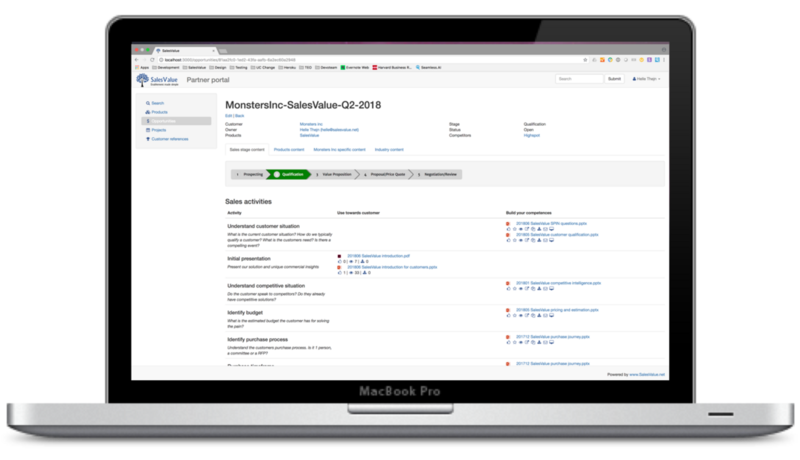 With the partner portal in SalesValue you can give your partners access to content and easily manage content and access in one central place. The partner portal offer the same features as for the sales team, so you can give partners recommendations for activities and content in context of products, customers & opportunities.